The National Institutes of Health (NIH) is preparing to lift a ban on funding for controversial medical research that incorporates human stem cells into animal embryos, creating a hybrid human-animal organism known as a chimera. Last year the federal government placed a funding ban on research involving growing human tissue inside of early-stage nonhuman embryos, citing ethical and animal welfare concerns. However, as a result of recent advances in stem cell research and gene editing technologies like CRISPR, the NIH believes it's time to reverse that policy. The proposed rule change would apply to all animals except for nonhuman primates like chimps and monkeys, which would still be off-limits. Although it sounds like something out of science fiction, researchers say the creation of human-animal chimeras in the lab serves a serious purpose. Carrie Wolinetz, the NIH's associate director for science policy, wrote in a blog post that introducing human stem cells, or pluripotent cells, into animal embryos "holds tremendous potential for disease modeling, drug testing, and perhaps eventual organ transplant." She continued, "I am confident that these proposed changes will enable the NIH research community to move this promising area of science forward in a responsible manner." 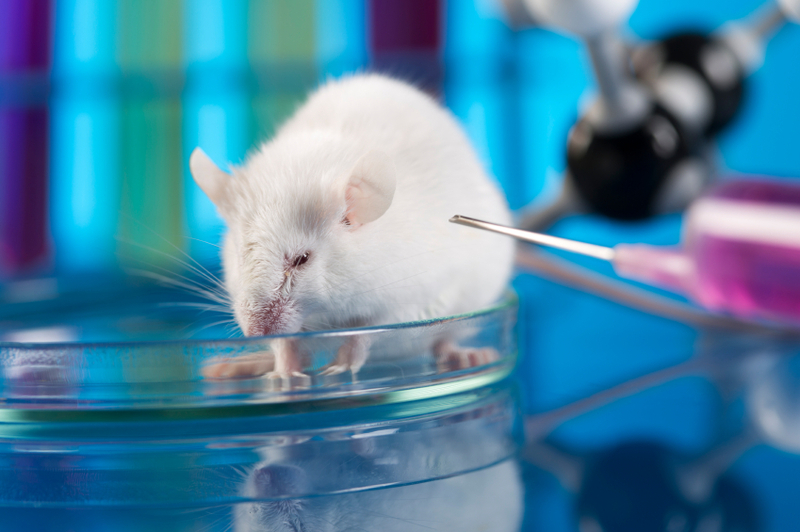 NIH will establish a new steering committee composed of experts in stem cells, chimeras and animal welfare to provide guidance on experiments in the field. The committee will weigh in on proposed research involving human stem cells inserted into very early animal embryos and any human-animal chimera experiments that could impact the animal's brain development. "It's an evolving set of thinking," Wolinetz told CBS News. "As we understand more about the human brain and as the human model advances, we'll have more data and a better understanding of what neurological considerations we are on the look out for." STAT News reports that while human-mouse chimeras have been used in labs for decades, scientists more recently started working with brain tissue. Such research could potentially yield insights into Alzheimer's, Parkinson's disease, schizophrenia or other devastating illnesses, but it raises new ethical concerns. Wolinetz acknowledged there is uncertainty about how human stem cells may affect the nervous system or other organs of the animals involved in the experiments. One critic compared it to something out of "Brave New World" or "Frankenstein." "Science fiction writers might have imagined worlds like this," Stuart Newman, a biologist at New York Medical College, told NPR. "There have been speculations. But now they're becoming more real. And I think that we just can't say that since it's possible then let's do it." The NIH proposal has a public comment period for 30 days, and then hopes to have a final draft of the funding guidelines out by January 2017.